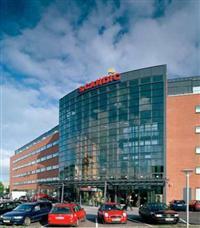 Welcome to Scandic Sydhavnen The modern Scandic Sydhavnen hotel is just 10 minutes from Copenhagen Airport. Relax in the restaurant or bar or de-stress in the gym, sauna or solarium. Do business in 8 meeting rooms or business lounge. All rooms have wireless internet access free of charge. Copenhagen attractions like Tivoli Gardens are within easy reach. Facility Work out at the Scandic Sydhavnen hotel in the gym. At the end of the day, enjoy the hotel's sauna, bar and restaurant. The hotel is only minutes from shopping and Copenhagen attractions like the Statens Museum For Kunst, Tivoli Gardens or Strøget. Breakfast buffet with 101 articles in every hotel247 shop open, if you fancy a late night snack or want to buy something to bring home. For the children we have a kid's menu composed by the world famous chef Jamie Oliver. The hotels also have playrooms. Internet access fre of charge in all public areas and in every hotel room, in all hotels, everywhere. As a hotel guest, you have free access to bright well-equipped gyms with all the latest in gym equipment.